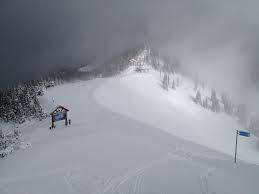 Tragedy occurred at Crystal Mountain ski resort on December 16 when a 40-year-old woman's body was found on one of the runs by an off duty ski patrol worker. According to The News Tribune, the victim of the fatal accident – identified as 40-year-old Ngoc-Han Thi Van – was skiing on a beginner-level run at Crystal Mountain called Tinkerbell on December 16. Officials believe she likely lost control and veered off the trail before crashing into a rock that was a ways off of the main run. Unfortunately, officials say that Van was declared dead at the scene of the accident when she was discovered. Van was taken to the Pierce County medical examiners, and they later announced that the victim likely suffered from blunt force trauma. Crystal Mountain’s director stated it was likely she ran into a tree but it’s hard to say because there were no notices on the scene. The woman was found on a beginner run and most likely lost control and skied off the run causing her to crash. We are in full winter weather and Crystal Mountain is finally getting a steady storm of snow coming in. More snow means more skiers and not everyone is experienced, practicing safe skiing and snowboarding is important for people of all ages. Snow levels have been lighter than normal throughout Western Washington this ski season, which has resulted in lower attendance but also more dangerous conditions for skiers. When snow levels are lower, rocks and other debris are allowed to remain exposed and pose an injury risk to everyone on the mountain. My family and I are avid skiers, and we always enjoy spending time together on the mountains. But I also take great pride in teaching my young son to be careful and do everything he can to protect himself when he’s skiing. From my family to yours, please try to take extra precautionary measures to ensure that you and your loved ones stay safe this holiday season. If you have questions about a potential wrongful death case, contact Davis Law Group.